Chocolates are nice. So are flowers. 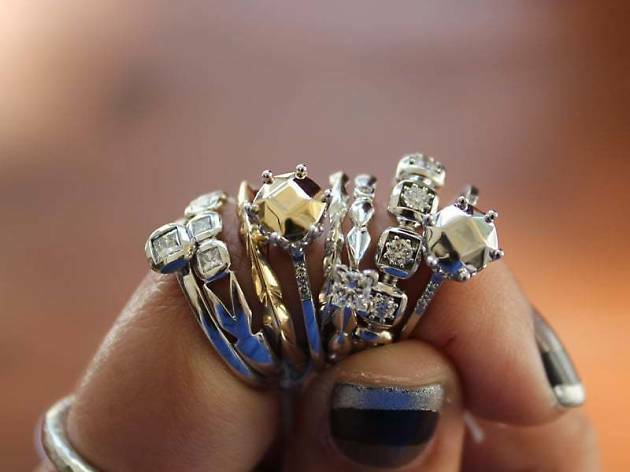 But nothing says you care about your sweetheart like a trip to the best jewelry stores in San Francisco. 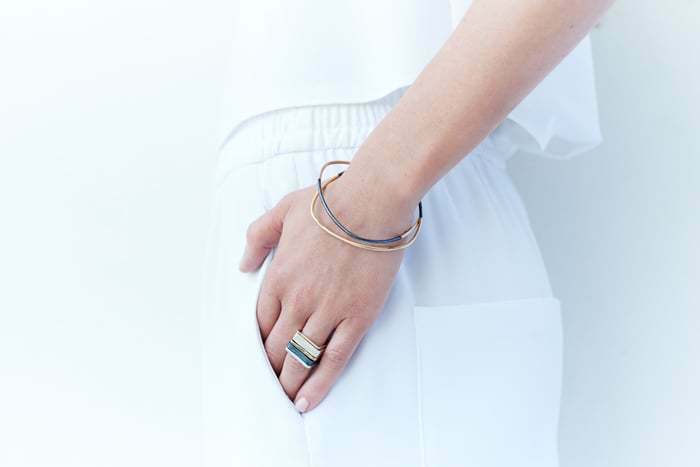 Adorn your loved one in simple, clean lines from Colleen Mauer Designs, vintage statement pieces from Metier or luxurious elegance from No. 3. 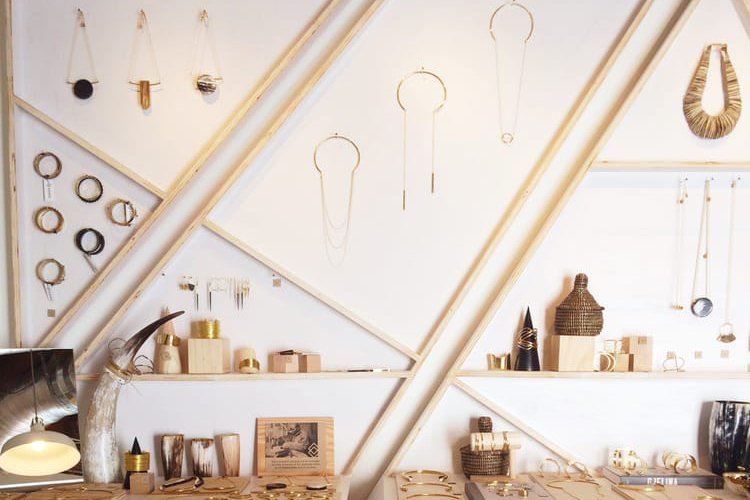 Whether you’re working within a budget or the sky’s the limit, your significant other will adore just about anything from these jewelry stores in San Francisco. Using an innovative supply chain app, Soko connects artisans in emerging markets in Africa to Bay Area consumers via a transparent “virtual factory.” The goal is to support heritage practices using locally sourced, eco-friendly and upcycled materials like reclaimed cow horn and bone while providing artisans with fair pay for their work. 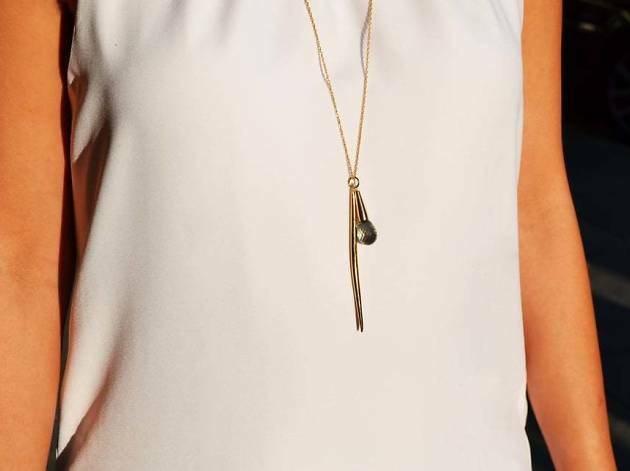 The result is spectacular elegant and modern pieces with simple silouhettes and lots of style. 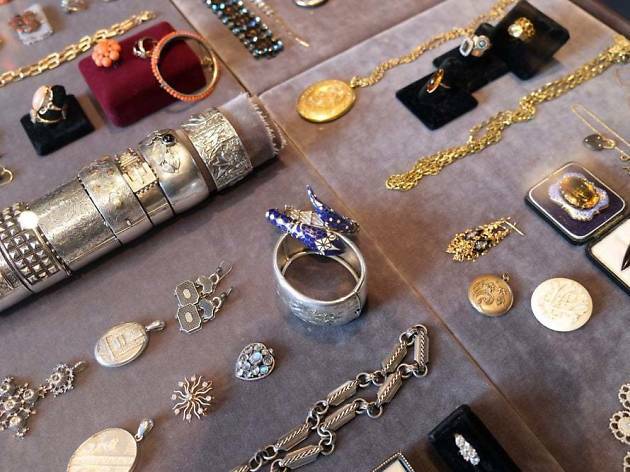 Among their shelves, you’ll also find personalized cuffs and pendants for under $60. It was a pair of her mother’s earrings that helped Mabel Chong’s family escape poverty in rural China and immigrate to Hong Kong when she was a child. 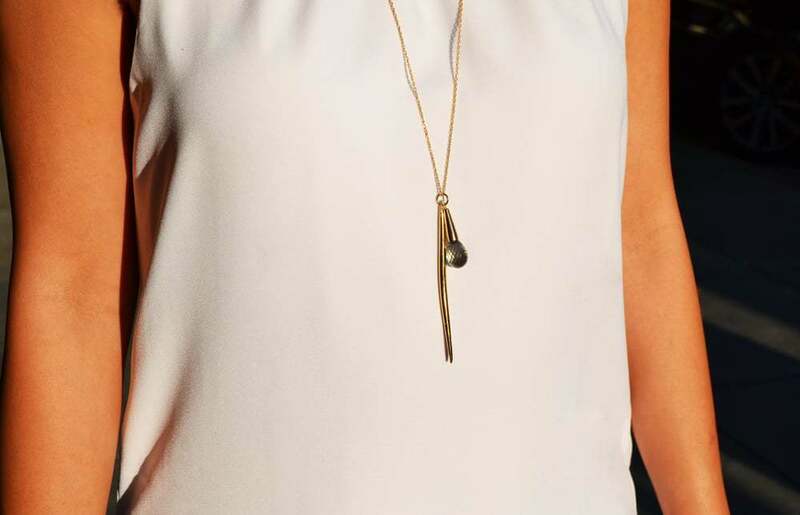 Today, as a successful jewelry designer, Chong creates pieces that honor her mother’s sacrifice in a style she calls uncivilized elegance. Indeed, the simple strands and thin spikes found throughout her line, recall a sort of rustic luxury. 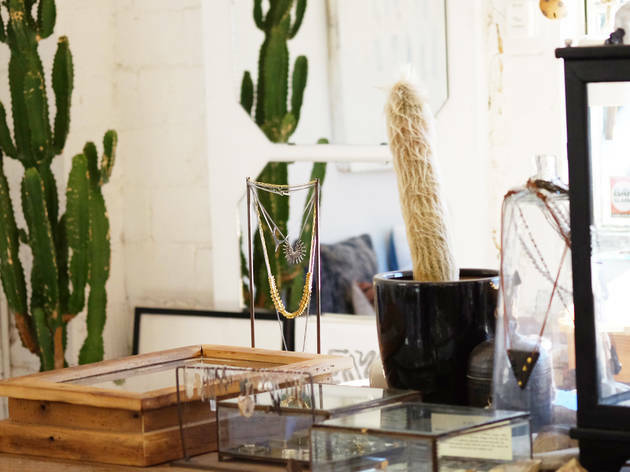 Best of all, a number of pieces are under $100. 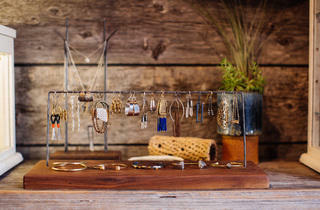 Fiat Lux specializes in unique, chic pieces with a carefully curated collection from over two dozen up-and-coming makers. 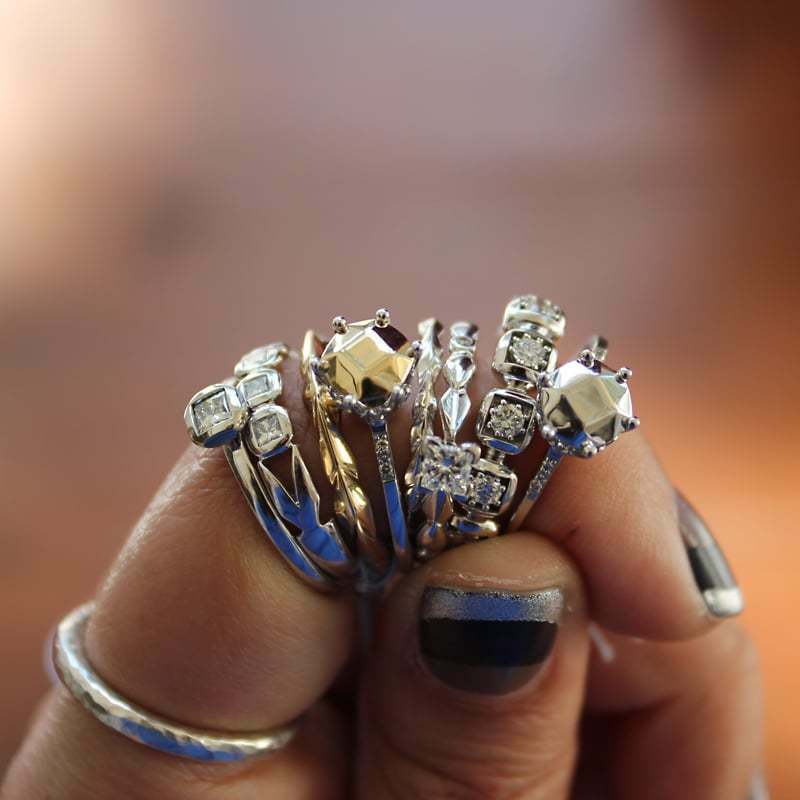 Their hand-crafted jewelry is often unorthodox—think ear studs that flip off onlookers with a middle finger and opal spider rings—but still beautiful. After all, nothing says “I love you” like a 14k diamond ring in the shape of a UFO ($695). 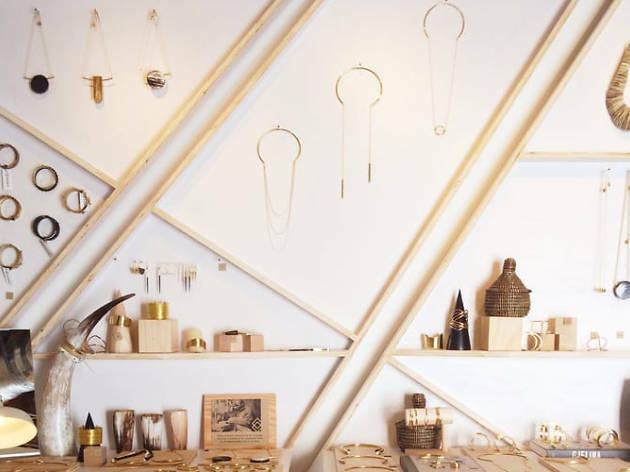 The Russian Hill atelier features jewelry for modern trendsetters. 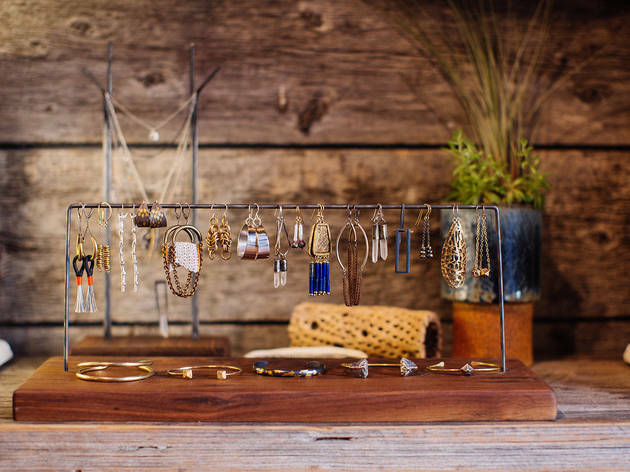 Whether you’re looking for something simple or a bit of bling to knock their socks off, shop owner Jenny Chung and her ultra-helpful staff can help guide you. 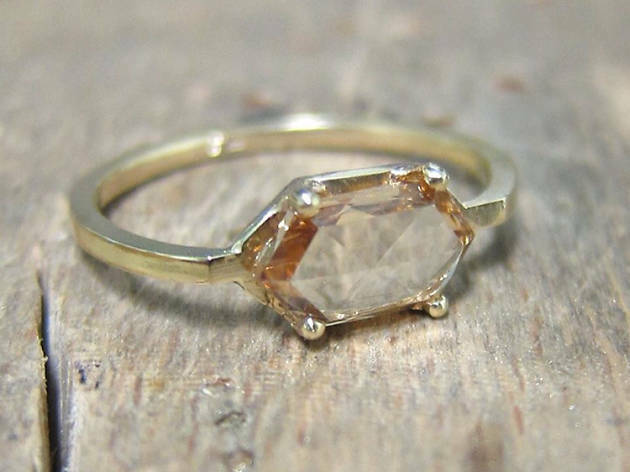 If you’re looking for something extra-special, you can commission custom designed pieces for your sweetheart; even if you have no idea what they may want, No. 3 can do everything from source stones to create personalized sketches to help you gift something truly one-of-a-kind. 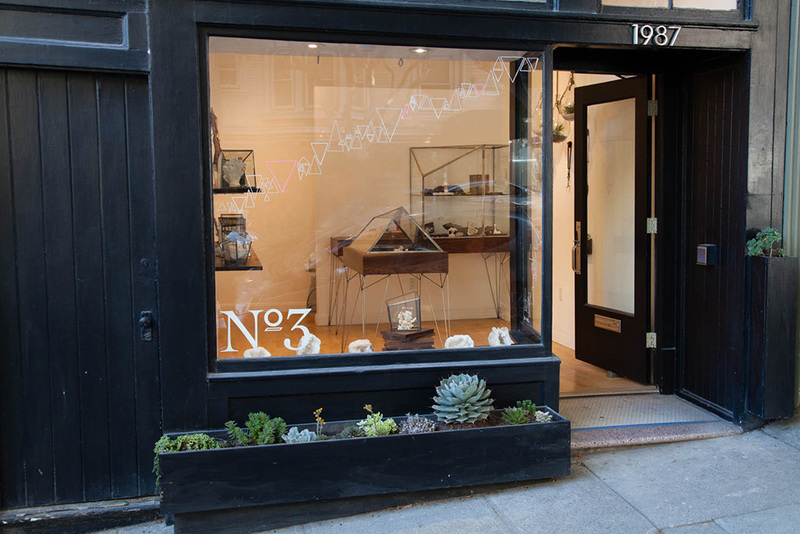 At two San Francisco locations, Gallery of Jewels offers a wide selection of designs from over 140 independent artists. Bracelets, rings and necklaces are crowd-pleasers no matter your sweetheart’s style—not too fancy but luxurious enough to make a statement. 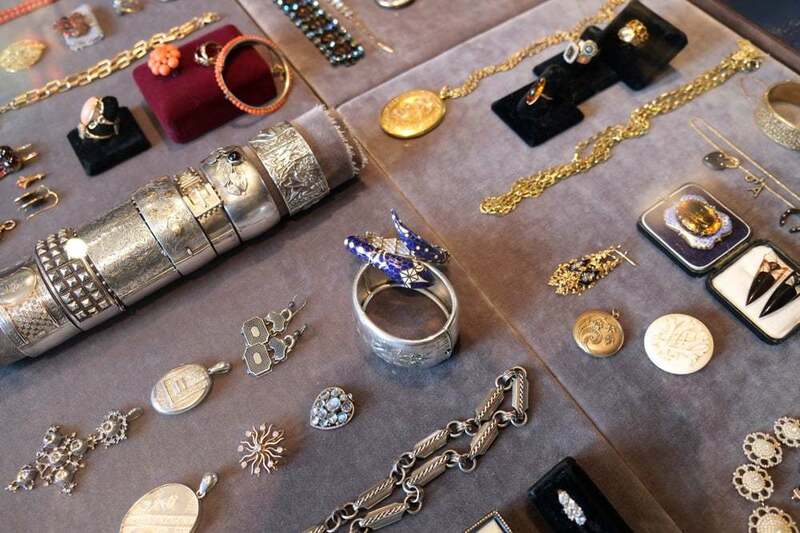 Gallery of Jewels hosts regular trunk shows to give you a deeper look at the work of some of the store’s favorite designers and, if you can’t find what you’re looking for, their staff can work with you to make your vision into a custom reality. 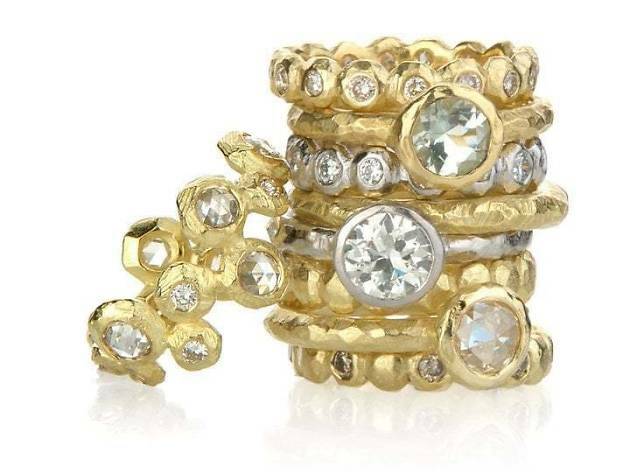 Colleen Mauer’s designs are all about the geometry of beauty. 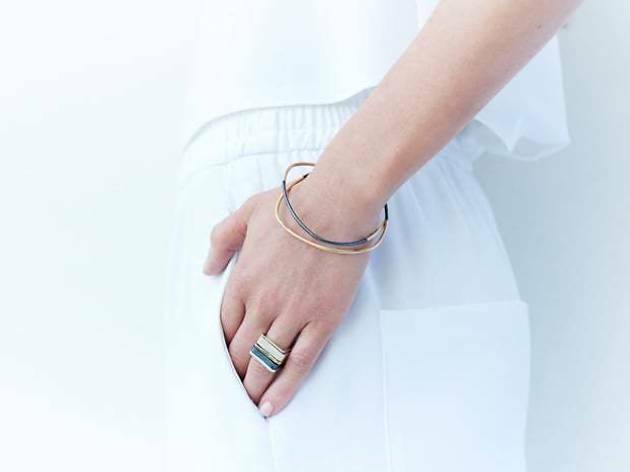 Clean lines and simple constructions make for effortlessly stackable rings and bracelets and seamlessly layered pendants and necklaces in gold, silver and understated colors. 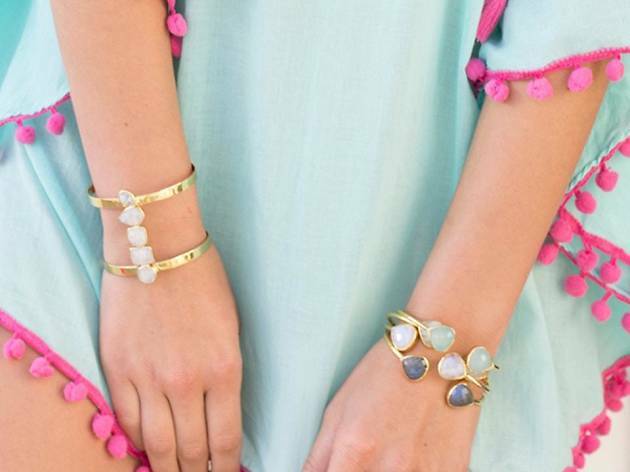 These pieces are for anyone who knows that you don’t have to go shiny in order to make a jewelry statement. 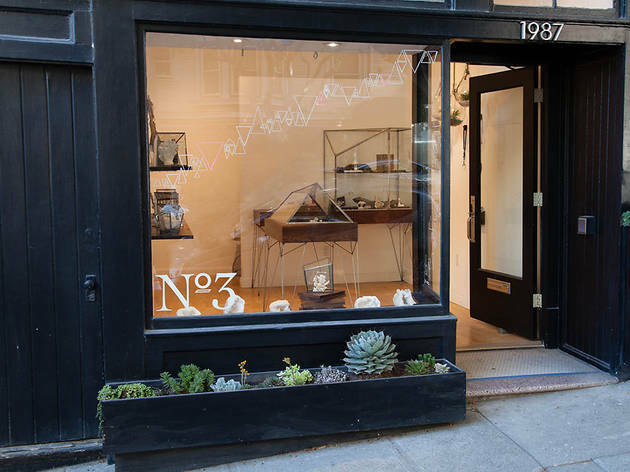 The baubles at this Temescal Alley store are artfully arrayed among cacti, ceramics, sharks’ teeth and cattle skulls. (Esqueleto is Spanish for “skeleton,” after all.) 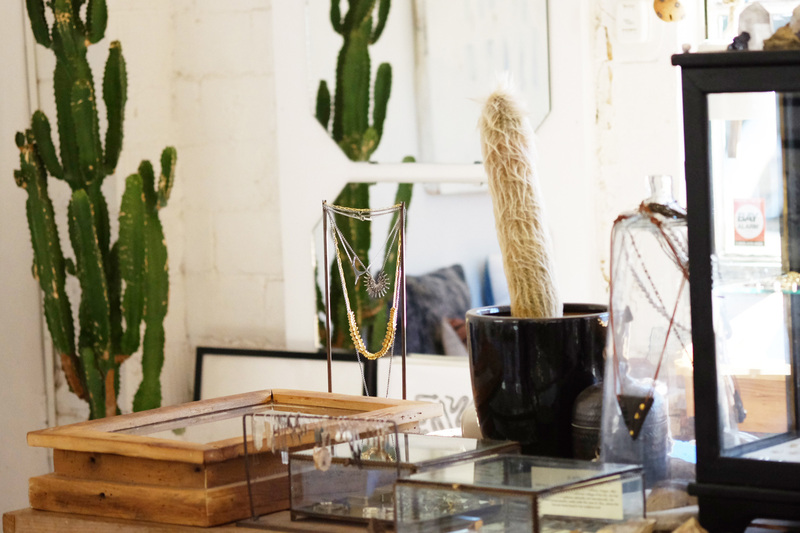 Though the space is loosely inspired by the Southwest, the accessories within are thoroughly modern, whether a barbed oxidized silver pendant or Jessica Niello’s oversize ceramic necklaces strung on leather. 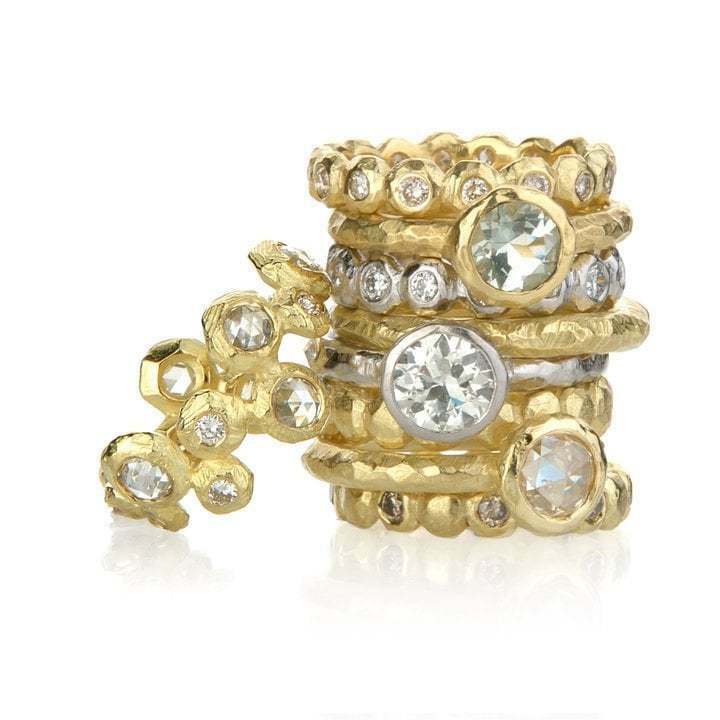 You’ll find a mix of dainty and bold styles here, from Satomi Kawakita’s miniature yellow gold studs and slender engagement bands to owner Lauren Wolf’s eye-catching claw rings showcasing sapphire, ruby and agate.